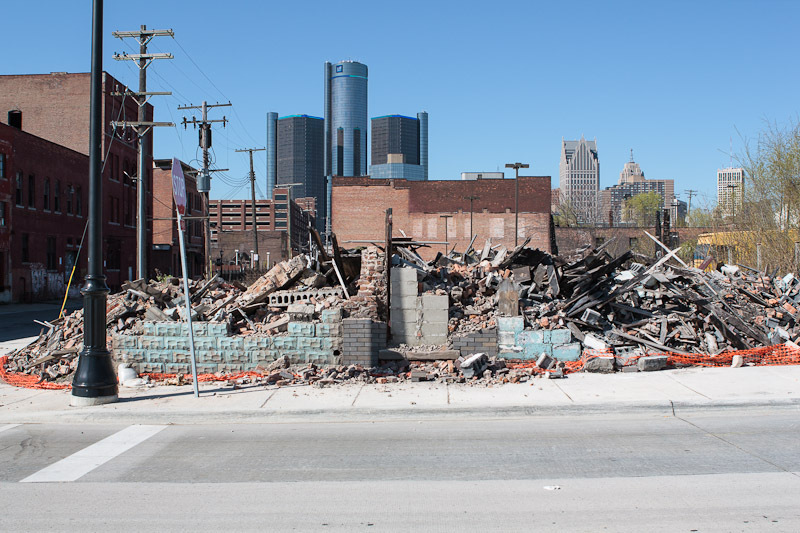 The once proud and thriving Rivertown district has suffered another loss. The Troester Building was built in 1911. It was located at the corner of Riopelle and Franklin. It was the home of the Rhinoceros Club. Hi I am a great great granddaughter Troester descending from the John Troester who owned the Troester building. They lived upstairs and had a general store on the lower floor. I have cousins in the Detroit area and wonder if they had news of the demolition and were able to get the cornerstone. Do you know if someone retrieved it before the building was torn down? The last time I was there must be the late 80s or early 90s when it was a restaurant called, I think, the Rhinoceros. I hope someone is able to recreate the history of this building, where my late husband's father, John William Troester, was born, along with his siblings. Later the Troester family moved out to Cafillac blvd. 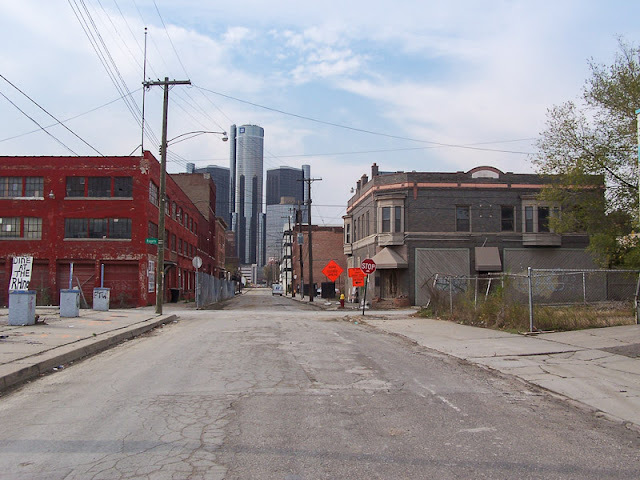 I remember my husband, Ed Troester, coming into the city from Saginaw during the time of the riots, to collect rent from a woman whose name, I believe, was Hazel. She (or perhaps an intervening owner) sold it to the great folks who opened the Rhinocerus restaurant, a lively haven for good food and late-night jazz. I remember one night being able to "jump the line" by menioning that we were the Troester family. The restuarant's menu told some of the history of the building. When our daughters grew up, we took them down to Riopelle and Franklin, too, and at that time, the restaurant was using the Troester apartments up stairs and the menu told an amusing if apocryphal story of a Troester ghost. Why did the restaurant close and why was the building demolished? The family would love to know. Thank you. Anonymous, the rubble was still there two weeks ago. I wouldn't be surprised if it was still there. 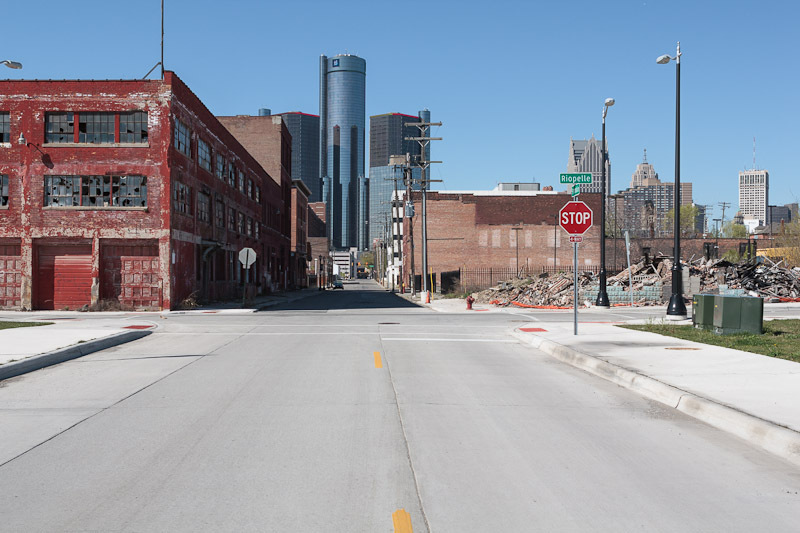 The Rivertown was originally intended to be the location of all three of Detroit's permanent casinos. Speculators moved in and drove up the real estate prices forcing the city to abandon the idea. Unfortunately, the damage was already done. The majority of the businesses in the district had been sold or shut down in anticipation of a payday that never came. At that point, the majority of Rivertown became a ghost town. Dan Gilbert's Next Purchase ... Apartments.